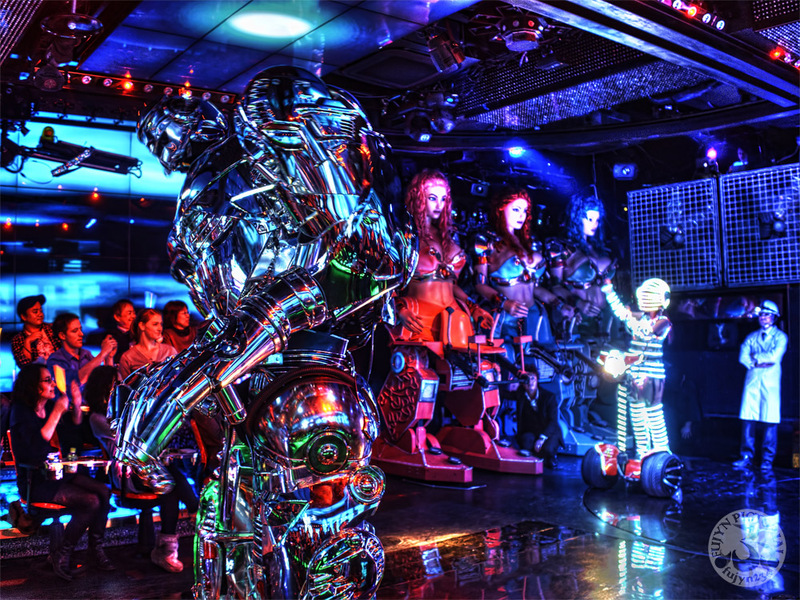 “Robot Restaurant” in Tokyo Shinjuku is a restaurant where you can enjoy entertainment shows such as huge robot dance. A lot of foreign tourists pack up here in the Shinjuku Robot Restaurant, and luxurious gorgeous night shows are spreading every evening. 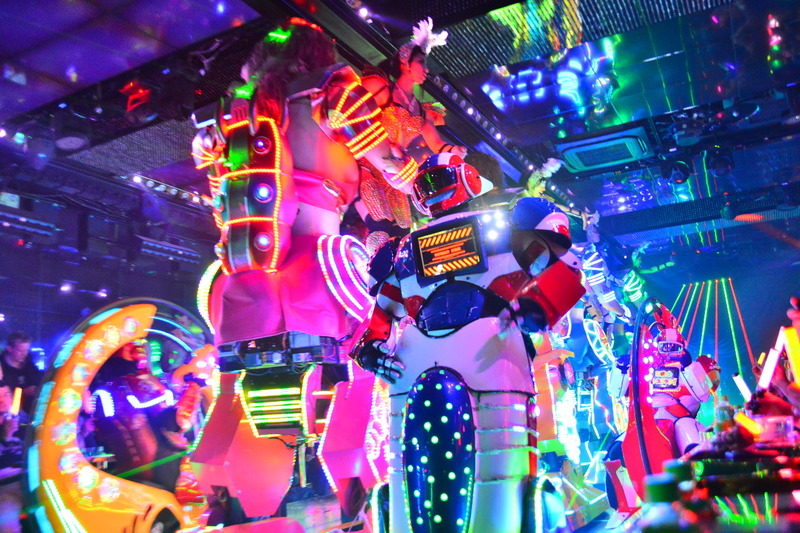 In 2012, the Robot Restaurant of sightseeing which opened in a corner of Shinjuku Kabuki-cho as a funny thing. In Japan in 2012, when the economy was in a slightly stagnant mood. 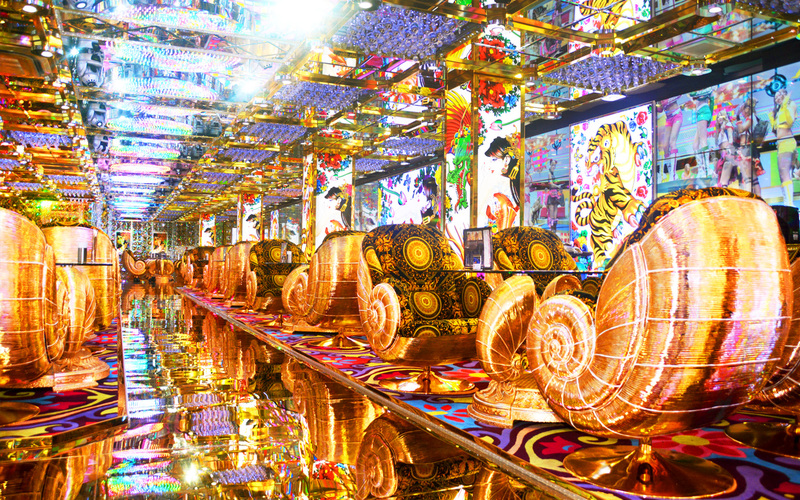 It is the Robot Restaurant that blows off the stagnant mood. The popular Robot Restaurant is a sightseeing spot that is about 2 blocks east of Shinjuku Toho Building in Shinjuku Kabukicho. Signs written with thick Gothic letters of that gaudy three primary colors are very conspicuous. In recent years foreign tour group guests have come to visit and when you are watching Westerners walking around in this area, you will feel that it is not here in Japan. It is a place named “restaurant”, but the customer’s purpose is not meals. 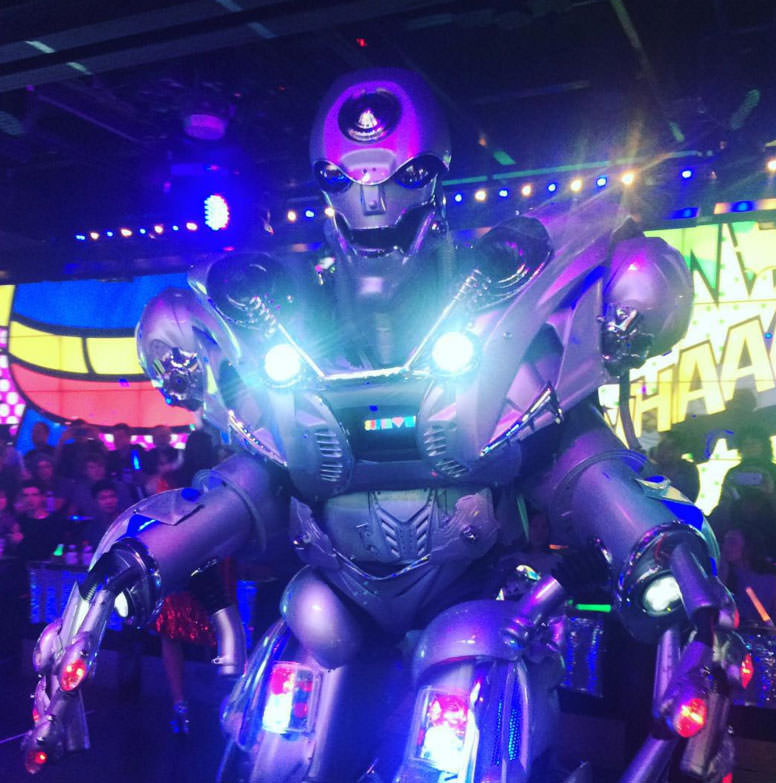 The main feature of the restaurant is the “unimaginable” entertainment show where robots and (mainly female) dancers gather. The stage is 3 meters wide and 15 meters vertically never wide, but the total number of seats for the audience is 180, with the horizontally long stage facing each other. What first appeared in the dark was women with make-up wigs reminiscent of “Renjishi” (a string of lions) which is a kabuki performance. The performer puts on electric floats on a dazzling float, beating Japanese drums while swinging around the lion’s hair, playing Japanese style rock with electric guitar ……. Furthermore, the hearts of foreigners are caught up in the performances packed “The Japan” at once with sushi and daruma doll floats appearing and ninja starting Chamera. 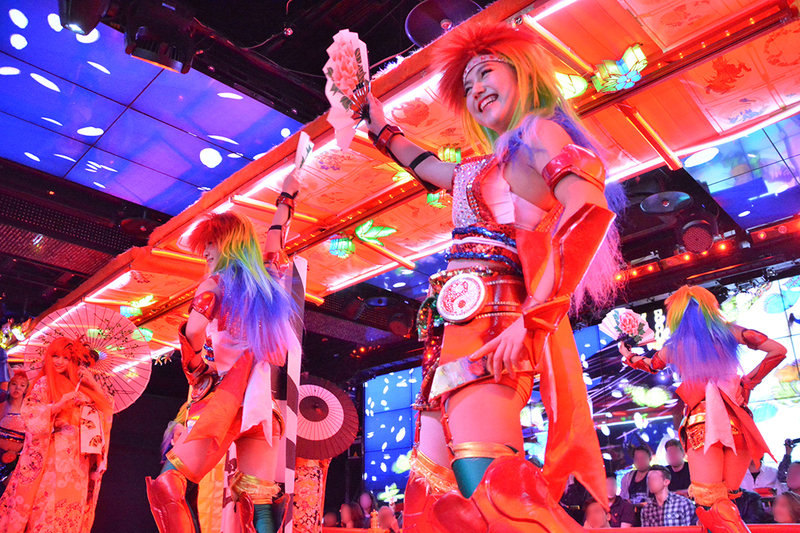 According to the sales of robot restaurant, 80 to 90% of customers are foreigners, 80% of which are Westerners. However, when the restaurant opened, it was accepted by foreign tourists from Japanese. Singer Katie Perry, Ariana Grande, actor Guy Pearce and other famous people came to visit. In addition to being introduced at BBC and CNN, awareness of overseas expanded mainly in word of mouth and SNS. It has already been over 5 years since the opening, but its popularity has not declined yet. 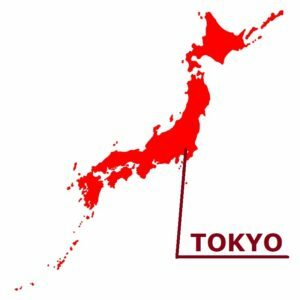 For foreign tourists, it is a famous tourist attraction for sightseeing in Tokyo, and tourists have already gotten quite a lot in recent years. If you are not experienced please try it. The City That Never Sleeps, Kabukicho, Shinjuku. There is a restaurant having the toxicity that you cannot steal out of there if you experience it once. Named “Robot Restaurant”. 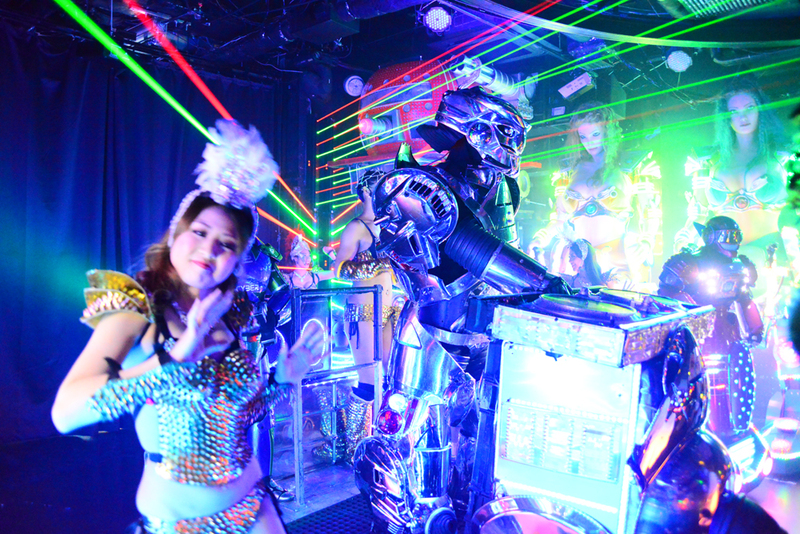 “Robot Restaurant” is not only a restaurant which merely has a meal. A robot does not necessarily serve. This is a restaurant which can see “best robot show of the one and only”. It is a place which a robot and a person weave and where novel entertainment is unfolded. It is dazzling at the moment of setting foot in inside of the restaurant. It is just as if it has entered the world of a mirror. 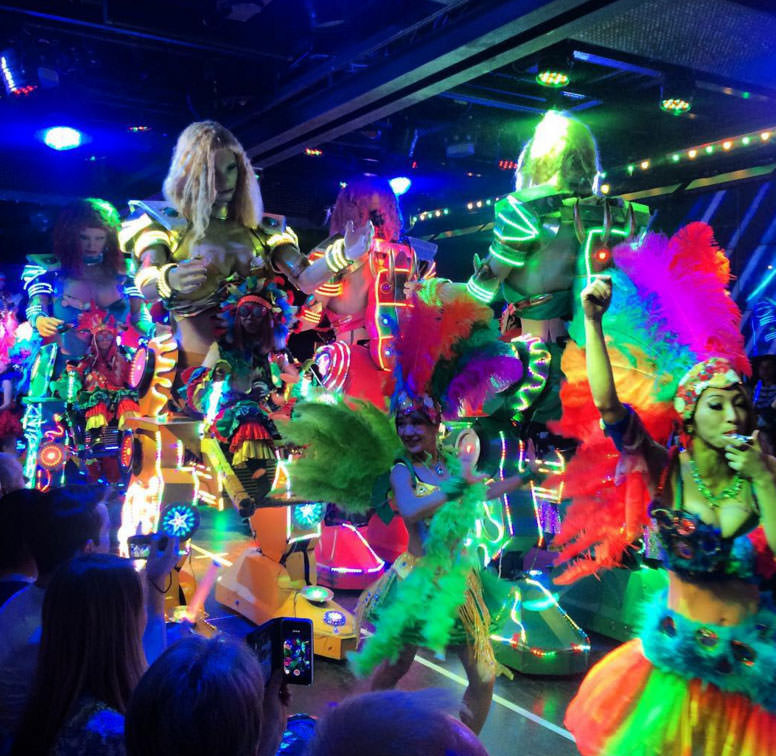 It is said that celebrities from overseas, such as the American popular singer-songwriter Katy Perry and Director Tim Burton who are known for many fantasy works, also came to the “Robot Restaurant”. There is the lounge which can spend the time to show while enjoying liquor and a light meal on the third floor. It is OK, even if it arrives at the hall early. You can wait while sitting down on a soft and fluffy sofa, and enjoying cocktail elegantly. The central hall is the stage and the seat is located in a line with both sides in the shape of stairs. All seats are pair sheets and serve as a table integral type convenient to have a meal. Show has four part composition and inserts the recess for 5 to 10 minutes into each intermission. Finally the visitor who showed a slight embarrassment in the beginning also rose by all the members. The high-five was carried out with the dancer’s people with smile. Please confirm the novel whole aspect of show getting solidly the heart of the person who came here.